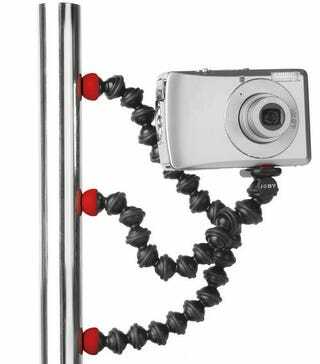 GorillaPod, the bendy tripods you know and love, just announced its newest version: GorillaPod Magnetic. This guy has magnets on each of its feet, allowing you to stick it to pretty much any magnetic surface. Of course, it'll still work without sticking to a surface, as it's still a normal GorillaPod above the feet. But if you feel the need to have your camera attached to the side of your car door, well, now you've got the ability to. It'll be available in April.